WOW! what a shot!!!!!! I can feel it! Amazing!! Not sure how you captured this photo, you nailed it! 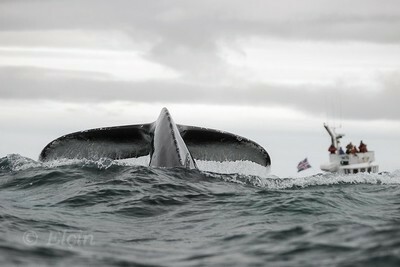 rainy and windy day on Atlantic waters , about 3 hours of whale watching and searching i got this perfect shot laying just down to RIB boat's ground.